Sperry fans - make sure you check out the Semi-Annual Sale with Up to 50% Off Select Styles. 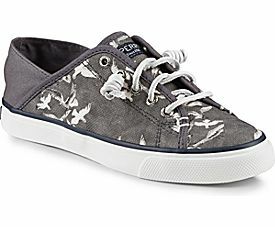 I really like these WOMEN'S SEACOAST ISLE SANDERSON SNEAKER $36.95 (Retail $69). Shop NOW! Browse around for your favorite Apparel, Shoes, Accessories and More!